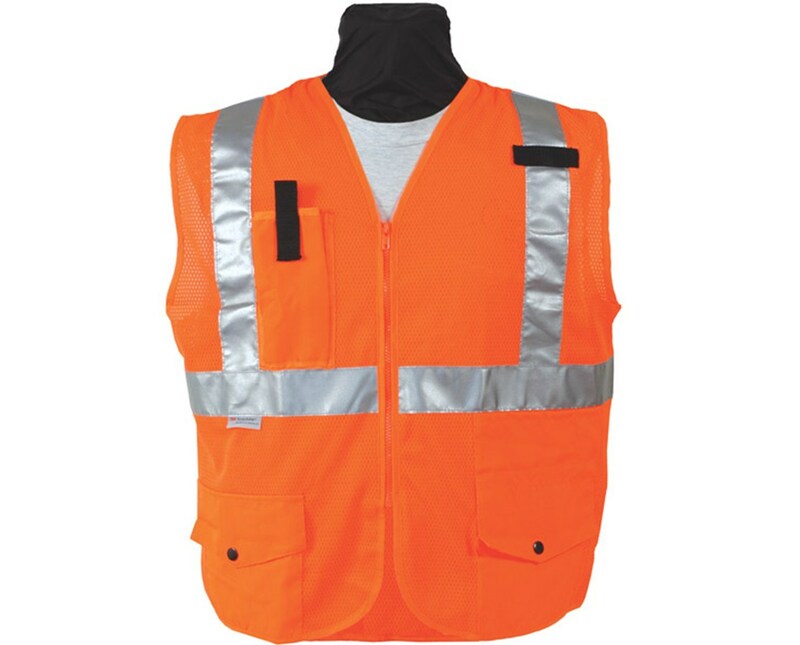 The 8290 series economy vest is manufactured with tricot and textured Polyester mesh for durability and comfort. It’s also manufactured to meet ANSI/ISEA 107-2004 Class 2 standards. Standard Features of the 8290 Series include a wide variety of pockets. 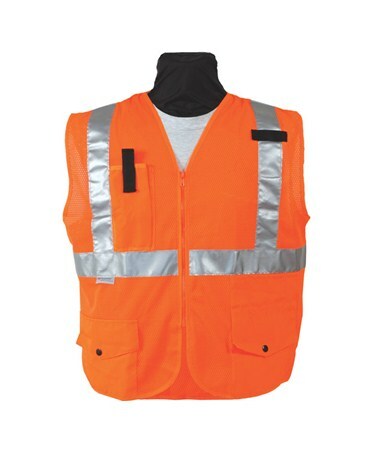 This model is available in flo orange, in standard sizes. 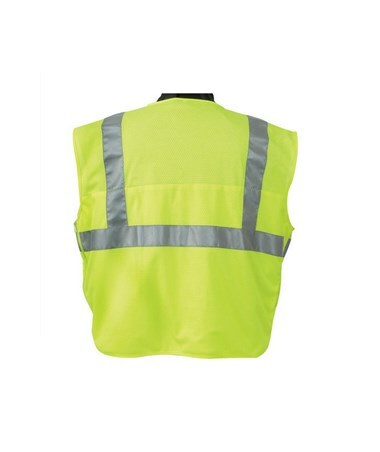 If you need a cool vest with different reflective tape, this is the vest for you!